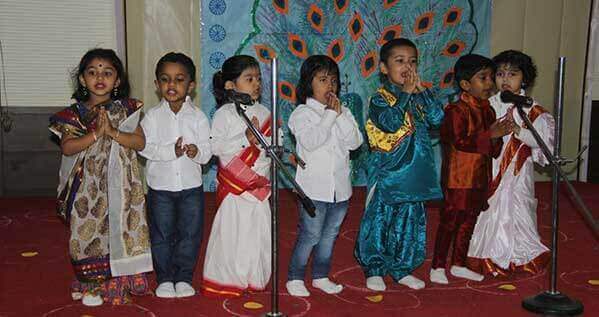 The preprimary wing of Delhi Public School, Hyderabad celebrated the festival of Dussehra on 23rd September 2014 with much fervor and grandeur. 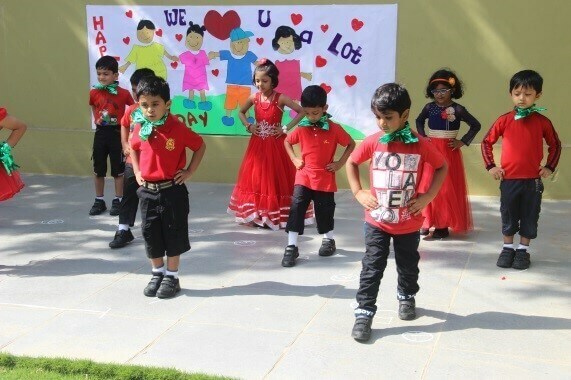 The tiny tots of nursery put up a spectacular show that showcased the origin, significance and the different modes of festivals celebrated in different regions of India. The month of December brings a lot of warmth, hope and glad tidings. 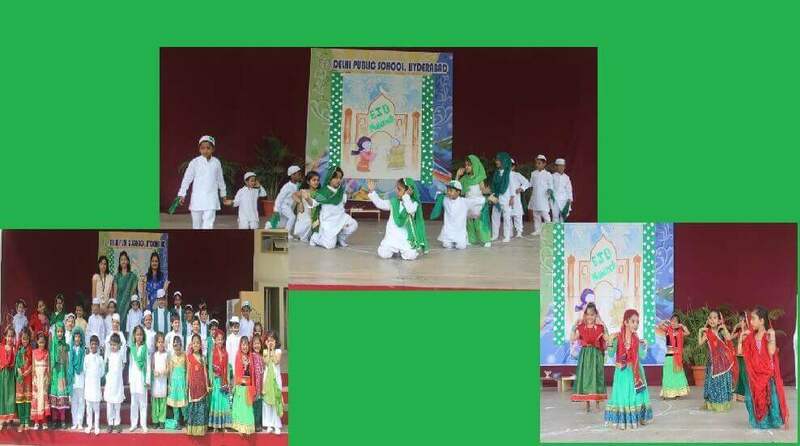 To spread the message of love and good cheer, the children of classes Prep E and F of Delhi Public School, Hyderabad presented a spectacular assembly on 23/12/2014 on the occasion of the world’s most loved and celebrated festival, Christmas. 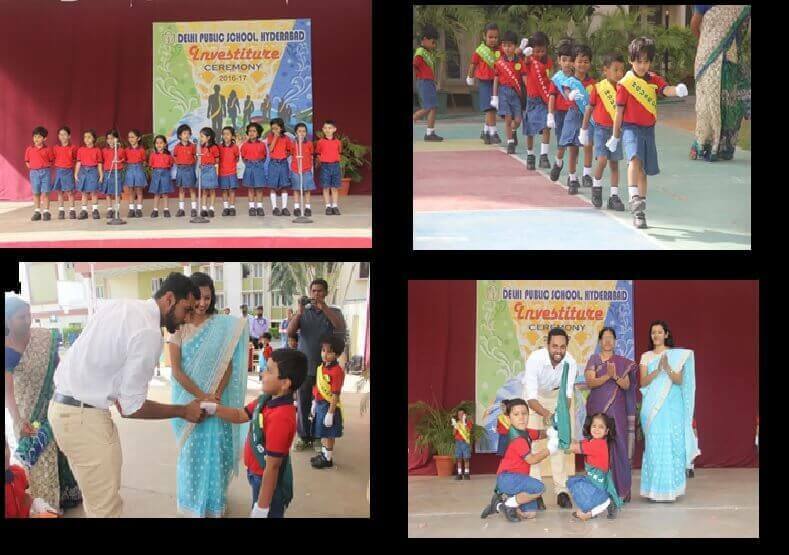 A special morning assembly marked the beginning of the new academic session (2015-16) on Monday, 16 March 2015. The assembly began with the unfurling of the school flag and a prayer sung by the school choir. 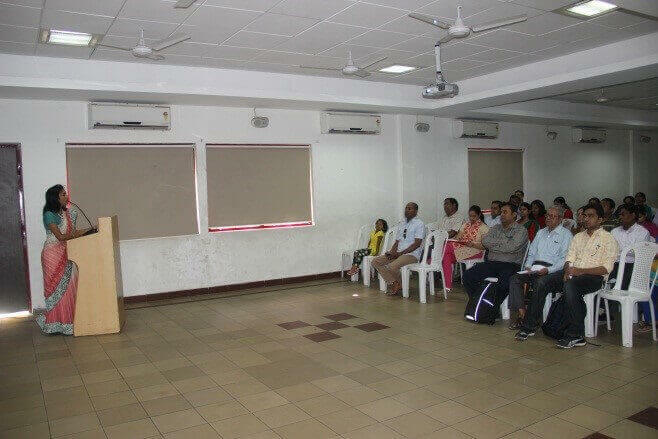 This was followed by a presentation of the news and the thought for the day by students of class XII. 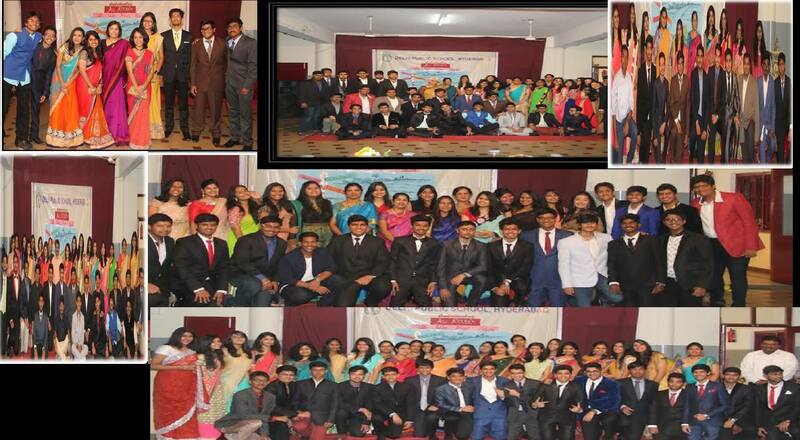 In a departure from the usual format of the morning assembly, four students of class XII— Shrinidhi Narasimhan, Neha Thirani, Vishwambhar Anand Vaidyam and Rohil Deshpande — came forth and gave speeches on four different topics that dealt with various aspects of school and academic life. The world environment day is celebrated every year on 5th June to raise global awareness to take positive environmental action to protect nature and the planet earth.It is a day that reminds everyone on the planet to get involved in environment friendly activities. From school children to community groups, companies and governments, all come together to pledge towards building a greener planet. Telangana, the 29th state of India was formed on 2nd June, 2014 through the bifurcation of the former state of Andhra Pradesh. The whole state of Telangana is celebrating the first anniversary of the birth of the new state with lot of gaiety and festivity. 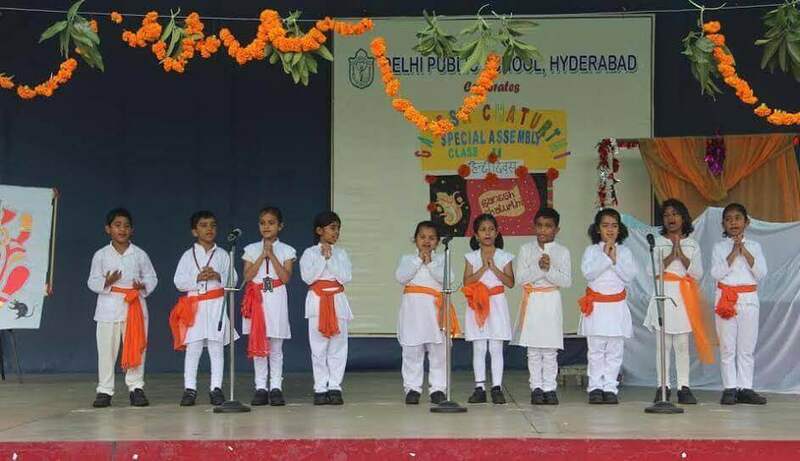 Students of class II and III of Delhi Public School, Hyderabad presented a special assembly on “Telangana Formation Day” which celebrated the heritage, art, culture, history, food and people of Telangana in a delightful way. 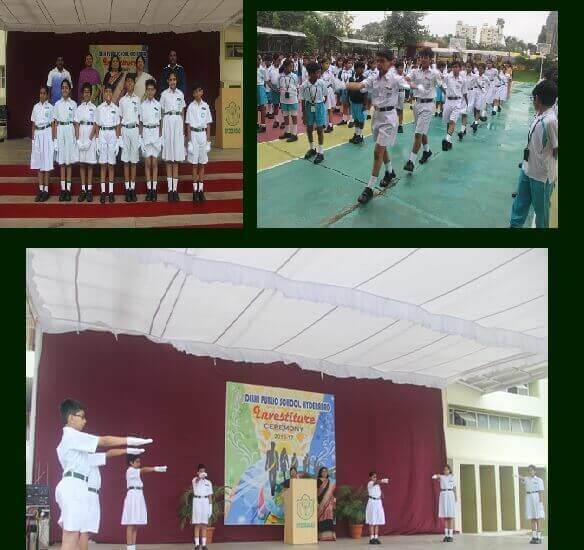 Students of class II and III of Delhi Public School, Hyderabad presented a special assembly on “Telangana Formation Day” which celebrated the heritage, art, culture, history, food and people of Telangana in a delightful way. 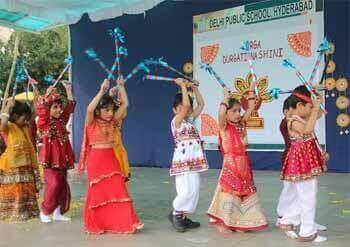 Students of class II and III of Delhi Public School, Hyderabad presented a special assembly on “Telangana Formation Day” which celebrated the heritage, art, culture, history, food and people of Telangana in a delightful way. 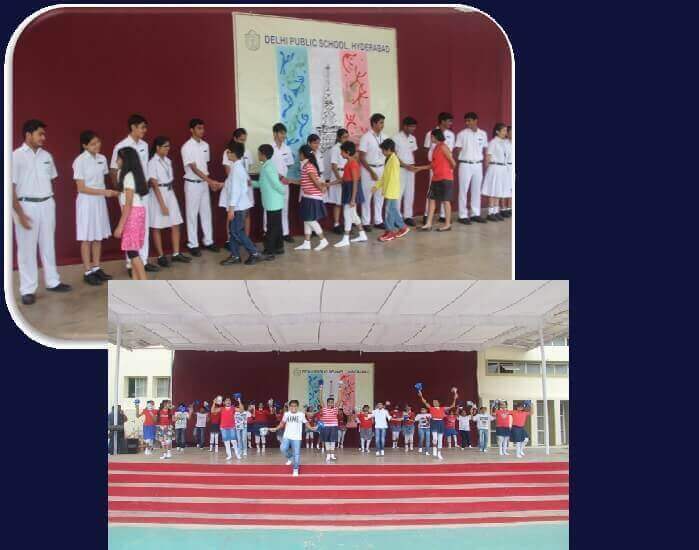 The special assembly started with a prayer song performed by eight students of class II along with the lighting of the lamp. This was followed by a skit performed by fourteen students of class III that gives an insight into the history, art, culture, food, and people of Telangana. 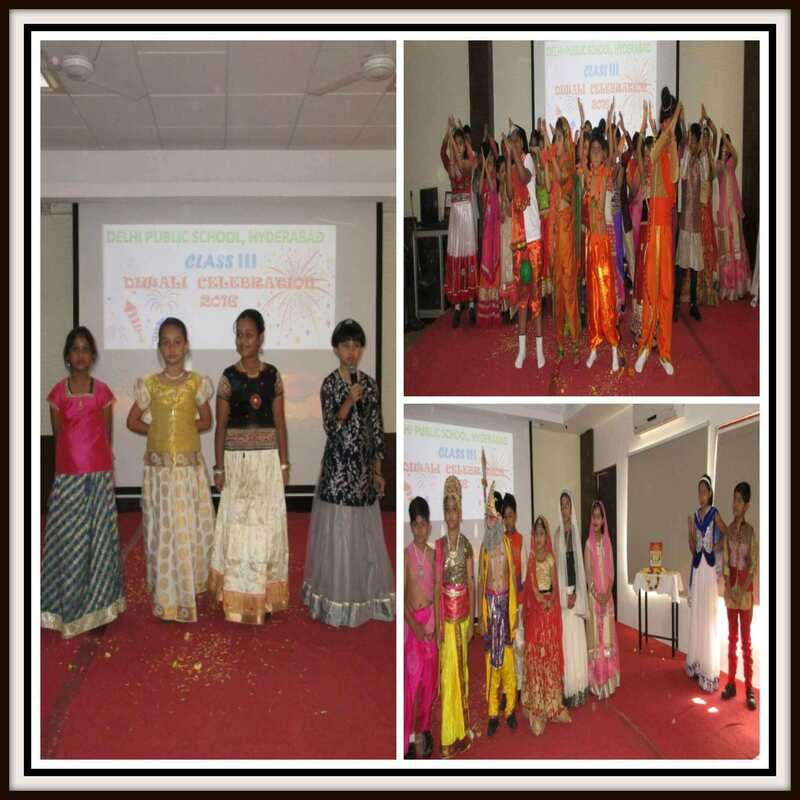 The skit was followed by a song on Telangana, “Janani Janani Janani… Jai Telangana” performed by fourteen students of class III. The special assembly ended on a beautiful artistic note through a colourful dance performance by forty four students of class II and III, celebrating Telangana’s floral festival, Bathukamma. "When you do good, you feel good and when you feel good, you get joy and when you get joy, it might inspire others to do the same".